This one’s for the gamers—and everyone else who loves awesome desktop displays. Samsung’s 27-inch curved monitor from the CF390 series is on sale at CDW until Friday for $190. Typical prices for that monitor are well over $200 on other sites around the web and often above $300. The monitor features a 27-inch display with 1080p resolution, and a curvature radius of 1,800mm. Color support is 16.7 million colors. There’s a 4 millisecond response time, 178-degree viewing angle, 250-nit brightness, and 3000:1 contrast ratio. 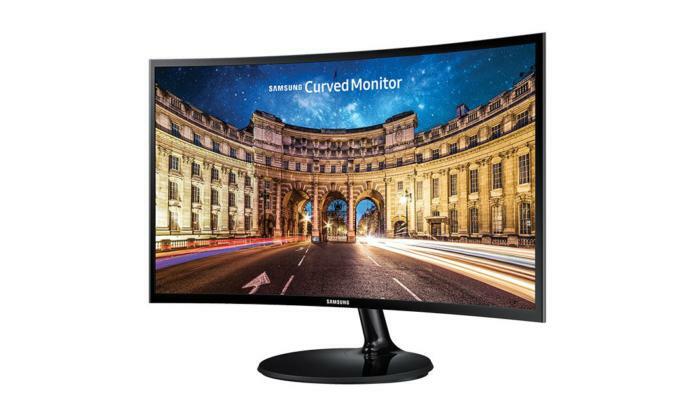 Samsung’s curved monitor runs at 60Hz and supports AMD’s FreeSync technology. If you have a FreeSync-compatible graphics card from AMD, that means you can sync it up with your monitor to reduce screen tearing and stuttering during gaming sessions. On the back, you’ve got a VGA port (old habits die hard) and HDMI. When the CF390 series was announced alongside the CF591 series in March 2016, they were the first FreeSync displays to use HDMI. Prior to that, FreeSync required DisplayPort. The CF390 doesn’t have the extra features that the CF591 does, such as built-in 5-watt speakers and a more stylish design. Nevertheless, this “plain” black monitor should satisfy anyone not looking to upgrade to a 4K display.